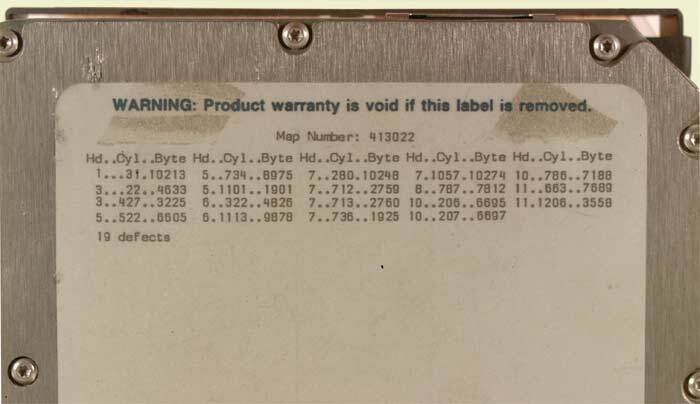 Pictured above is the Error Map of the RD54 disk drive. During final testing, any hard sector data errors are remapped to spare (good sectors) on the RD54 disk drive. As the bad sectors are remapped, the above error map is generated indicating the failed sectors. At the bottom of the map is the count of the total numbers of bad sectors relocated.